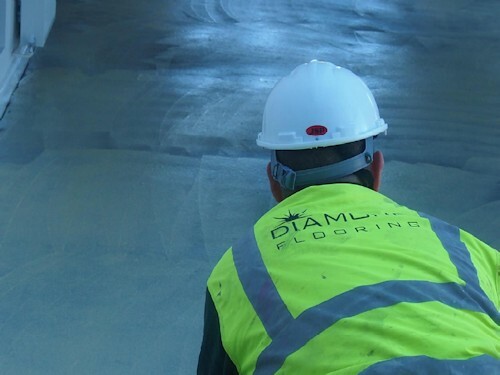 Diamond Flooring are a family owned company that specialise in the supply & installation of resilient floor coverings. The company is completely independent, are not linked to any franchise or parent company. Based in Horwich nr Bolton our main trading activity is in the Northwest region, however distance is not a barrier & we have regular contracts in Scotland & the Southeast. With a turnover of around £2,000,000 we have the capacity to complete contracts from £500.00 - £150,000 without impacting upon efficiency & quality. Trust is a key word within the company & is often referred to in all our activities whether it is staff relations, client dealings, supplier purchases, trust is the basis from which we operate. Reliability is the mainstay of our business, our clients rely on ourselves to deliver what we promise & in turn if we cannot rely on our staff, suppliers, manufacturers & equipment then we will fail. Respect is vital to delivery of the company’s performance, in everything we do, we have to respect our client’s wishes & expect that all our support team understands this too. Quality is expected from our company by our clients & if we apply all our values to the company activities quality should surely follow, however the company continually controls & checks to establish if we are achieving our aims. The company has invested in staff, equipment & premises over 25 years to ensure that any contract is completed to the highest possible standards that can be achieved within our industry, a policy of employing only our own staff & not using subcontractors, most of whom are in-house trained in conjunction with the CITB, goes a long way to ensuring consistently high quality results are achieved. Accreditations with CHAS & Construction-line are in place as well as achieving “Investors in People” award suggests the company holds its responsibilities to its staff & clients very seriously, together with all on-site personnel being CSCS card holders & with our own in-house management personnel with 2 NEBOSH health & Safety awards means that health & safety as a high priority within the company.